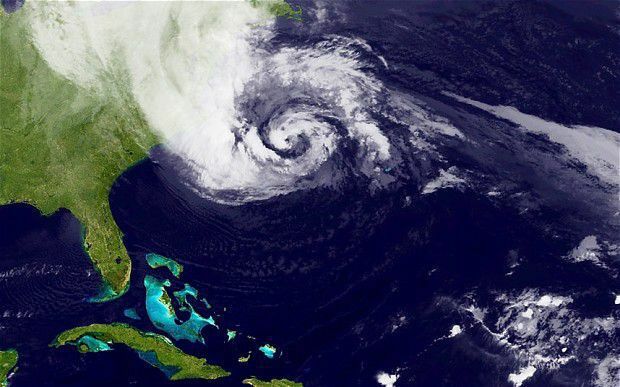 New York City Braces for Hurricane Sandy | The Voss Law Firm, P.C. You know it’s a serious storm when the NYSE closes and the MTA shuts down service in the event of track flooding, but New York City is currently bracing for the as-yet-unpredictable impact of Hurricane Sandy. Residents report that Lower Manhattan streets are eerily empty after the MTA shut down the subway system, and evacuation orders are in effect for 375,000 people in low-lying areas as officials brace for historic flooding. If the storm hits at high tide, NYC is at serious risk of record-breaking flood waters. In fact, residents on Twitter are already posting pictures of NYC starting to flood - the Hudson River has breached its banks before 9am, the East River is above the last two steps of Get Down and approaching 3rd, at the end of Wall Street, and neighborhoods in Brooklyn and Queens are already reporting flooding. And the full force of the storm isn’t projected to hit the NYC area until this evening or overnight! Flooding is the biggest danger that NYC residents face from Hurricane Sandy, although the high winds are projected to cause damage, and prolonged power outages are also a factor that will contribute to some serious problems for residents in the coming days. We won’t know the full effect of the storm until tomorrow morning, but right now it’s looking like some New Yorkers are going to have a lot of cleaning up and rebuilding to do. We urge NYC residents to heed official warnings, evacuate if advised and stay safe. Move important valuables out of the basement and to a higher level of your home to try to keep them safe from flooding. Above all, use common sense and take care if you’re out traveling today. From Bill Voss and all of us here at The Voss Law Firm, P.C., our thoughts go out to you.